D.C. Human Rights Act : Extremely broad discrimination Statute that mirrors and in some cases offer protection and relief beyond the federal laws. The U.S. Equal Employment Opportunity Commission (EEOC) enforces all of these laws. EEOC also provides oversight and coordination of all federal equal employment opportunity regulations, practices, and policies. Although the EEOC enforces the aforementioned laws, the agency is not there to act as your advocate. That is why you need a lawyer. The Above laws will do you absolutely no good if you wait until it's too late to get legal representation. AND WE CAN TALK ABOUT YOUR CASE, TODAY! "SPEND A PENNY...SAVE A POUND." In my nearly 21 years as a lawyer I've handled ﻿﻿various types of employment cases in the federal government and in the private sector. I have dealt with all types of clients. Most are people alleging some form of discrimination after their employer has taken some type of personnel action against them or has just fired them. Here is a "news flash"
for all of you potential client's calling a lawyer about an employment complaint after you have been fired: Calling a lawyer after your employer has taken a personnel action against you isn't very smart. Calling a lawyer after you have been fired isn't very smart. Whining to a lawyer about the fact that the union didn't do anything to help you, and now that you have been fired, you want to hire a lawyer but you don't have any money to pay for his services, isn't very smart. These are all things that an employee wants to avoid. The following is a description of what a smart employee does. A smart employee knows that unless he has a specific contract of employment, he is an employee at will, and can be fired at any time for any reason, or no reason, but not for any "illegal reason" (See above federal laws). A smart employee never relaxes on the job or takes anything for granted. He/She always keeps a daily log of events, especially when something out of the ordinary happens. Most people know when they are about to be fired. A smart employee will have saved up for that "rainy day" so that when he or she ever needs to contact a lawyer for help, that person wont contact a lawyer with a sad story and no resources to retain counsel to fight for his/her legal rights! Ah, yes! The pro se litigant. You are so smart that you can represent yourself. You, who are about to be fired or who has been fired. That certainly is your right. However, most lawyers don't even want to pick up a case handled by another lawyer, let alone a pro se litigant. Of course, you, the non-lawyer will argue that you have done most of the work already so it shouldn't cost much for the lawyer to pick up your mess and take over the case. It doesn't work like that. No good lawyer would pick up another lawyer's client or the case of a pro se litigant without thoroughly reviewing what has been done, what should have been done, and what should not have been done. I'm a lawyer, but guess what, when I have problems with the law...I hire a lawyer! Some of the above statements may sound really harsh, but employment law is a serious area of the law. It is not cut and dry, and cases are never as easy or as good as an employee or former employee wants a lawyer to believe it is. Add to this, that employees always have unrealistic expectations about their damages, and it can make the process even more difficult. 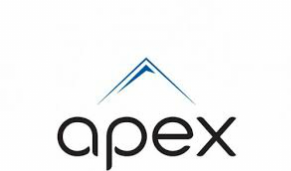 The good thing about Apex, is that because of the experience we have, we will review your case and let you know your strengths and weaknesses up front. We don't make guarantees, but we don't want to waste your time or ours. Settlement/Negotiations: Make every effort to resolve the matter in a friendly manner. Limited Appearance / Limited Representation: While the Superior Court of the District of Columbia does allow limited representation, at Apex we think a client should hire a single lawyer to represent him/her from beginning to end. Apparently it is the court's view that it is better to have a lawyer available at some stage of a case, than not to have a lawyer at any stage of a case. Piece meal representation is also believed to be a way to save the client money. You will often hear people say: "The best time to look for a new job is when you already have a job." However, you will rarely hear people say I have a lawyer on retainer and if I have any problems on the job I am going to let him know immediately so that he can contact my employer about the matter. Please don't understand this as encouraging employees to go around the workplace "mouthing off" at their employer. That is not what this is about. This is about being pro-active and having a lawyer involved in every step of your employment when there are signs that you may have a problem on the job. The earlier you take action, the better. If nothing else, your employer will know that you are serious and that you are not going to have your rights violated, at least not without a fight! Also, just because you have a union, that does not mean you can't hire your own personal attorney. If the unions were so great at helping its members, the EEOC would not have thousands of cases to handle every year. How often have you read in the newspapers about the union going up against management to take them down for the workers. In real life, it just doesn't work like that. Many employees just don't know when to let go of a job. For example, I had a client who was offered six figures to leave a job as an Administrative Assistant making less than $50,000 a year, and while I don't take for granted that she had worked at the job for 20 years, lets face it, if you can get six figures for a low level job (without going to court)and leave the job with a clean record, you shouldn't just turn your nose up because (you have a friend, who has a cousin, who knows someone who got a million dollars for her case). Yes, it sounds stupid to us as lawyers, and if you don't know when to let go of the job, a smart lawyer will certainly know when to let go of you as a client. Employment cases are not about "hitting the lottery." Its about you being treated fairly under the law. You can stay or you can go, but don't expect the lawyers to stay in a quagmire for years, and you can't even pay the first $10,000.00 for attorney fees. Sometimes its best to just move on! Numerous Cases Settled Without Filing EEOC Charges and/or Lawsuits in Court.